Taking a break from alcohol is tough. I should know. As a big real ale and craft beer drinker, I used to treat myself to a beer (or several) most days of the week. That was until I temporarily stopped drinking so I was ready for our baby daughter to make an appearance. Apart from the odd weekend binge, I wasn’t a particularly heavy drinker. But I struggled abstaining initially, especially when I fancied a couple of drinks of an evening. Then I discovered Brewdog’s “Nanny State” alcohol-free beer. This showed me that non-alcoholic beer doesn’t have to be crap. Since then, I’ve sampled dozens of alcohol-free beers. And while there are still loads of dodgy ones out there, there are also dozens of quality alcohol-free ales and lagers from the likes of Big Drop, Nirvana, Pistonhead, Infinite Session and Mikkeller that rival normal-strength beer in terms of flavour, aroma and mouthfeel. These days, I still drink full-strength beers now and again. But I’m finding that alcohol-free beer does the job when I’m craving a beer and I have no trouble going a few weeks without drinking when I have a few in the fridge. 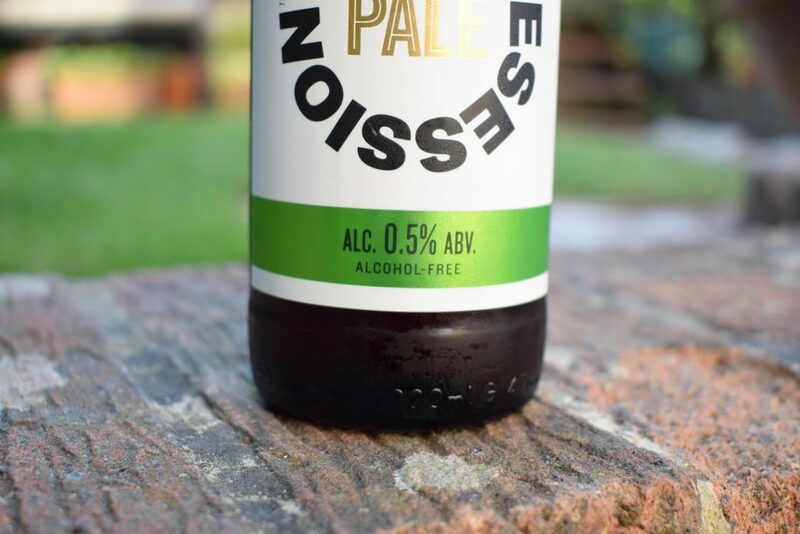 One thing that confused me early on is that many of the best “alcohol-free” beers do contain a little alcohol – up to 0.5% ABV (alcohol by volume) in many cases. In fact, it’s pretty hard to find a non-alcoholic beer that’s totally free of alcohol. Even 0% ABV beers will likely contain trace amounts. Does this mean you should avoid drinking low-alcohol and alcohol-free beer if you’re doing a challenge like Dry January or Go Sober for October? For starters, many everyday foods naturally contain similar amounts of alcohol as alcohol-free and low-alcohol beers. So you’d have to give them up too. For example, ripe bananas can contain up to 0.5% alcohol and burger rolls can contain up to 1.2%. There’s also trace amounts of hidden alcohol in things like malt vinegar, vanilla essence and soy sauce. It’s also impossible to get drunk on beer that contains such low levels of alcohol. Most people start feeling the effects of alcohol, such as a minor impairment of reasoning and memory, when their blood alcohol content (BAC) reaches 0.04%. However, when people in this study drank 1.5 litres of alcohol (about 2.6 pints) in an hour, their BAC never went above 0.0056%. This 7 times lower than the level that most people start to feel the effects of alcohol. So you’ll stay sober, no matter how many 0.5% beers you drink. Although alcohol-free and low-alcohol beer won’t get you drunk, there are some situations when you might decide it’s best not to drink it. For example, research has found that non-alcoholic beer provides sensory cues that can make you think you’re drunk when you’re not. This can cause people with an alcohol addiction to relapse. Hence why many recovering alcoholics avoid alcohol-free beer. You may also want to do more research on drinking alcohol-free beer and eating foods that naturally contain alcohol if you’re pregnant or you have a health condition that means you should avoid alcohol. Have I convinced you that low-alcohol beer up to 0.5% ABV is OK to drink if you’re doing Sober for October or Dry January? What low-ABV beers will you be drinking?